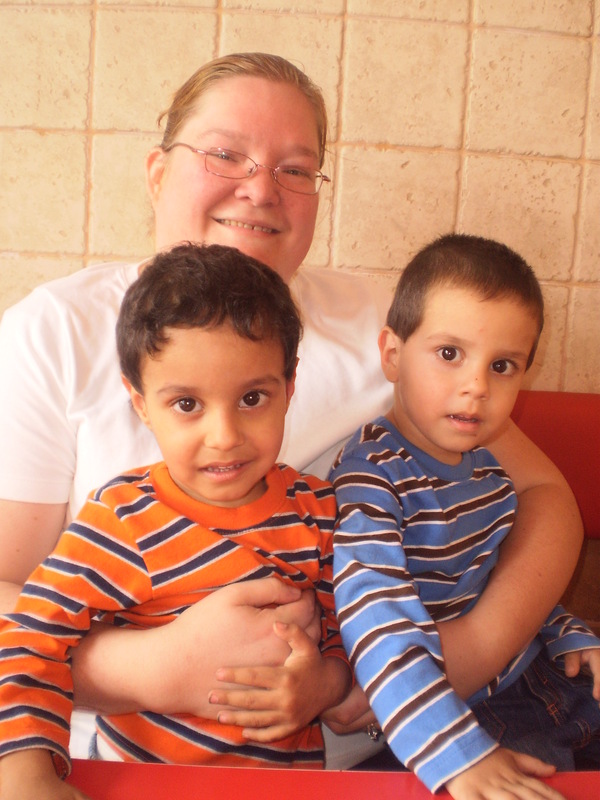 Lori and her two boys. everything in, I got my picture taken and my card for my new Romanian one-year humanitarian visa will be ready to be picked up in 30 days!! I was concerned that I would have to pay a fine because I did not get a visa last year but I didn’t have to. I just praise God that everything went so well! I ended up spending the rest of the day with Lori and her two cute two year old adoptive twins. We had a great time together. We did a few shopping errands and I discovered that there is a new Kaufland store here in Oradea which is one of my favourite store when I lived in Târgu Mures so now I am so happy that I know the store is here because my favourite cereal is there and a couple of other things that I have really missed since I moved to Oradea. It was a great day! Thank-you everyone for keeping my Romanian visa process in your prayers. I value your prayers so much!